You know, in my day-to-day goings about I meet a lot of new people. People with your average, everyday “normal” life – whatever that means for them. It never ceases to amaze me, if the “I teach Tango” topic comes up, the spectrum of responses that follows. “Oh, I have two left feet, I could never do that”. Or, “wow, how brave of you, I could never do that”. I also occasionally get a ‘wink’ coupled with ‘oh, do you now!’, like I’m one of those penniless ‘artist’ dance teachers who has some secret undisclosed fetish that can only be acted out in the dimly lit recesses of a film noir bordeaux. The truth is, I love Tango. Yes. It is definitely a love. But I also get sheer pleasure in watching the faces on people in their very first class. When their ‘expectations’ of Tango transform and they finally ‘get’ Tango. Watching this transformation is actually one of my most favourite things to do. The secret is, anyone and everyone can easily learn to dance a fundamental Tango. 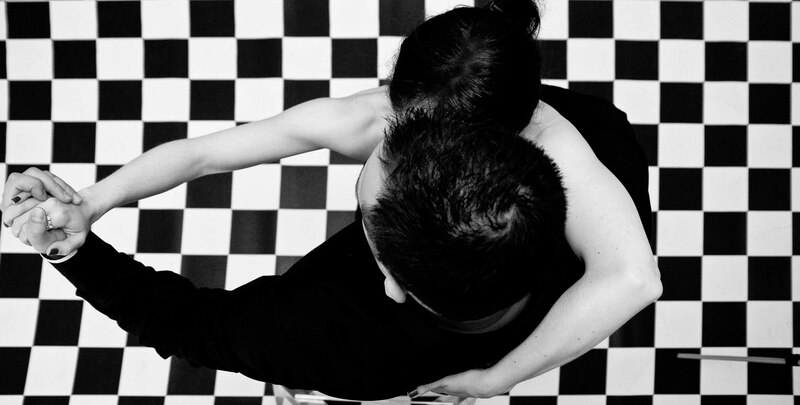 You see, as we say on our website, Tango is not just a dance, a style of music, or a culture. Although it is this. It is also the most incredible non-verbal conversation you will ever have with a person with your clothes on. The beauty is, you don’t have to be in love. You don’t have to even like the person (although this helps). The experience is not, and should not be, filtered – as the verbal conversations you have with people in your life are. In social Tango you simply exist in space and time. As you are. In that moment. You embrace your true self first, and then express a shard of that self into the shared space. Into that time. You express your intention to open up a piece of yourself, to share it and wait for it to be reciprocated, by another. And it will be. For that other’s soul purpose, at that time, is to hear you and respond in kind through the dance. Tango is not a monologue. At least not when experienced the way it was designed to be danced. It is not simply a one way communication. It is a conversation with a feedback loop. Two people respecting each other, taking responsibility for themselves and then finding a conversational bridge between. To connect with a single focus. To experience that one moment. To share one precise feeling in a moment of time. This is what it is like to experience an authentic Tango. Thursdays: 7-8PM – ABSOLUTE BEGINNERS WELCOME! Special OFFER: Try your first class for ONLY $15!